You’re likely aware of the hype regarding drones. They’re everywhere nowadays and used in so many events and functions. They’re unmanned and can reach places where photographers never could. It’s completely changed the dynamic of videography and photography as we once knew it. The market is huge although pricey for high-end drones. But also affordable on the low-end for drones without all the many bells and whistles. 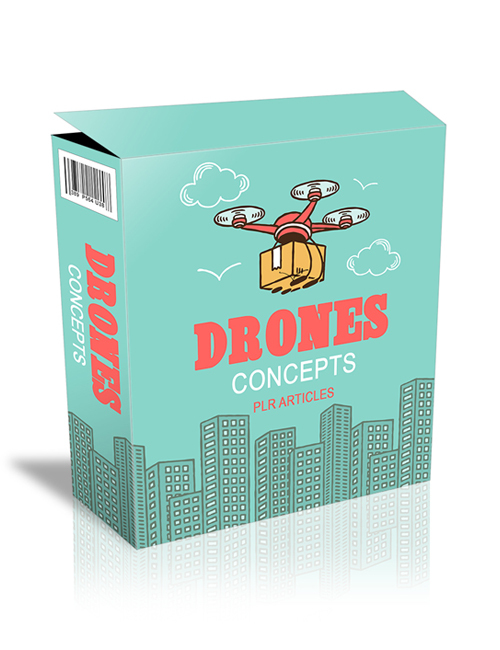 These plr articles cover the goods on the drone hype and you’ll learn a lot on exactly what they are and their many benefits. You’ll learn about commercial drones, aerial photography, drone helicopters, kits, drone cameras, building drones, parrot drones, RC drones and more. People never knew they needed drones until they saw them in action. Technology has gone to the next level and if you’re on the fence regarding buying a drone then the education in this pack will surely help you to make up your mind. You can use the content also to educate your users and followers and also build your blog with this content as a source if you’re in the drone niche. The market is worth in the tens of millions of dollars and growing. People are crazy about drones and the market is hot. Make the grab now.